Delhi is too hard on itself. Stop beating your chest. 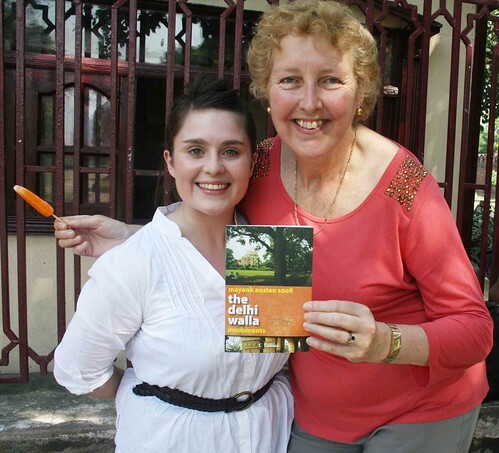 “Delhi is not filthy,” said Jenny Stevenson, an Australian visitor to the city. 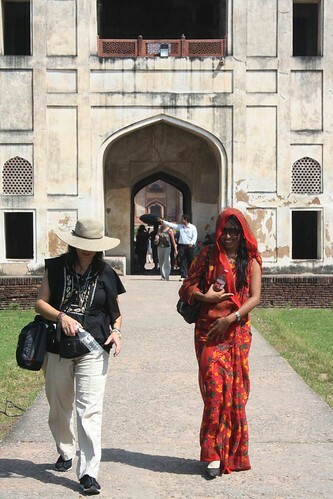 The Delhi Walla met Ms Stevenson at the ticket counter of Humayun’s Tomb on September 30, 2010. “I’m having a great time,” she said. Ms Stevenson, 50, is the mother of Dale Stevenson, an Australian shot put athlete who will be competing in the Commonwealth Games that Delhi is hosting in October. 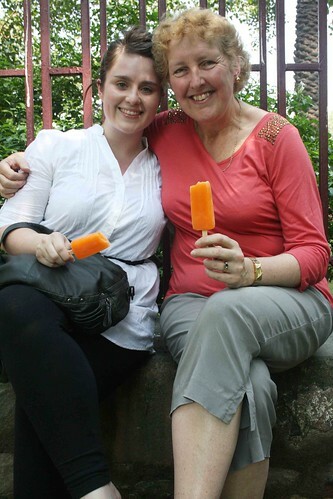 She had come to see Humayun’s Tomb, one of Delhi’s most scenic Mughal-era monuments, with her son’s girlfriend, Lauren Jones. 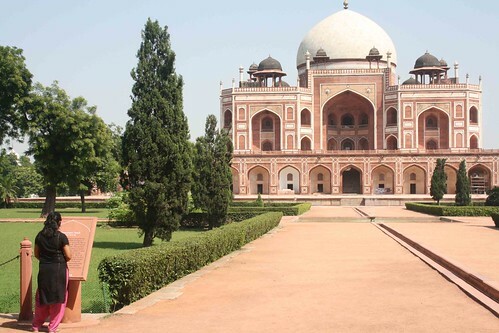 One of the intentions of Delhi Commonwealth Games was to showcase India’s growing economic clout to the world, although in July, 2010, a study in Oxford University claimed that the eight states of India have more poor people than in the 26 countries of sub-Saharan Africa. To enable the city to host such a huge international event, crores of rupees were alloted to build its infrastructure. According to figures presented by Urban Development Minister S Jaipal Reddy in the parliament, Rs 28,054 crore has been spent on the Games. Rs 670 crore went to the stadiums. The rest were spent on building the city’s infrastructure: Rs 650 crore on street scraping; Rs 900 crore on bus depots; Rs 3,000 crore on the Metro rail; Rs 18,000 crore on DTC buses; Rs 3,700 crore on flyovers and bridges. An additional Rs 12,000 crore was spent in creating T3, the new terminal of Delhi’s Indira Gandhi International airport. 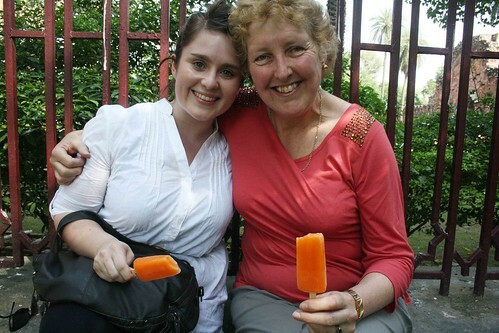 So, is Delhi looking like a World Class City to these Australians? During the countdown to the Games, the Indian media did a largely negative coverage of the events. But then it was difficult to find good stories. Sample the list: the record-breaking monsoon rains, the dengue epidemic, the missed deadlines, the collapsed bridge at the Jawaharlal Nehru Stadium, the unclean rooms of athletes, the various scams and the disappointing anthem composed by Oscar winner AR Rahman. There was even the scare of monkeys and snakes. “I think Indians are very hard on themselves,” said Ms Stevenson. “You people should go easy,” said Ms Jones. Memo from the North Campus – Are Delhi Commonwealth Games Doomed?